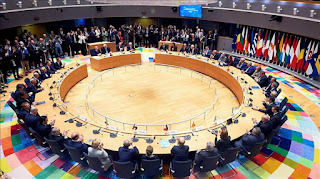 In a stunning show of unity, 23 European countries have notified the European Union of their intention to join what is akin to a "military eurozone." Two others are expected to sign prior to its formal approval on December 11. The agreement, called "Permanent Structured Cooperation (PESCO)" involves a list of over 20 commitments each country intends to do to jointly develop military hardware and integrate their military forces. Although participation in PESCO is voluntary, the commitments are explicitly mandatory for those who decide to opt-in. This is very similar to the eurozone, in which countries voluntarily join the euro who meet certain financial "convergence criteria". With the eurozone and it's governing body, the Eurogroup, the EU has built what can be described as a "monetary union." With PESCO, the EU intends to progressively develop a "defense union" in addition to the "monetary union." The PESCO framework will be reinforced by two other related but distinct programs. The first is the EU's new European defense fund. The defense fund will subsidize up to 20% of the cost of countries who jointly acquire and develop new weapons. Nevertheless, those countries that participate in a PESCO project receive an additional 10% bonus, on top of the original 20% incentive. The second is the Coordinated Annual Review on Defense (CARD). This insures transparency of the defense plans between member countries who have pledged to share their military resources. In addition to the 20+ commitments, PESCO member countries will agree to about 10 "projects" before December 11, 2017, where this decision is formally approved. On December 15-16, 2017, the heads of state and government in Europe will formally approve the decision to join PESCO. Why Does PESCO Matter for Prophecy? The Bible portrays the Antichrist as a military conqueror. Since the EU is the revived Roman Empire predicted in the Bible, it needs to become a military bloc, in addition to a merely financial bloc. PESCO is a very substantial step in that direction. 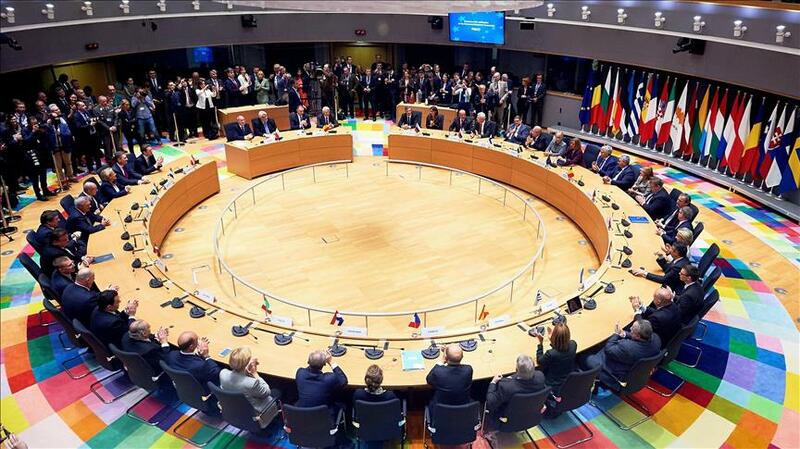 This is probably the biggest step in EU defense since about 18 years ago, when the EU set up some military structures for the first time at the Cologne European Council. Regardless, PESCO is potentially the largest single step the EU has ever taken in the field of defense. More specifically, the Bible describes the Antichrist as a King of Defense Spending (Dan. 11:38). Since PESCO is related to boosting the finance and capacity side of European militaries, it is very conducive towards this end when the Antichrist finally ascends to power over the EU's military apparatus. Furthermore, the Bible describes how a group of ten countries have a "common purpose" and ultimately cede their military sovereignty to the Antichrist (Rev.17:12-18). PESCO is another step in this direction. In addition to this, PESCO contains a lot of prophetically significant language. See the links in this paragraph to see how this could be the case. 1) According to B2, PESCO does not create any new governance structures. The EU High Representative is central in the leadership of PESCO. 2) PESCO does not create a common defense for the EU. However, it can be a stepping stone in that direction. Article 42.2 of the Treaty of Lisbon allows the EU to have a common defense, in the event that all member countries unanimously agree to this. 3) The European Defense Fund, which funds and reinforces PESCO projects, does create new governance structures. Fortunately, the EDF is far more important for prophecy than PESCO, and has numerous 666 connections to it. 666 connections have historically been associated with Javier Solana, a prophecy he fulfills, or a position he is about to ascend to. 4) The timeline associated with the European defense fund is more vague. They are hoping to approve the "capability window" of the EDF in the first quarter of 2018, so that projects can start on Jan. 2019. This is the most significant "window" of the EDF. If Solana is to lead the fund, we have a very hard stop at Jan. 1, 2019. Nevertheless, there is word that the EU wants to continue hashing out some of the details of the EDF by the end of this year as well. 5) Our buddy Javier is still lurking. According to a remark he made on Twitter, he has had a meetings with French and German officials in Paris regarding Franco-German relations and the future role of the UK in defense. PESCO is a very big step in European defense, and prepares the way for the Antichrist. PESCO is very related to military capability development, that the Antichrist will be a huge supporter of. Furthermore, ideally the EDF is used to fund PESCO projects. In this case, the EDF is the actual subsidy money, whereas PESCO are the commitments. Since they are distinct political programs, the timeline of the one is not always aligned with the other. If you check out the OVERVIEW, or RADAR page, the role of PESCO in the larger prophetic scheme of things will become much more apparent. Jesus is coming. Though it linger, it will surely come. Cry out to the Lord in your distress. Beg him to bring his kingdom on earth as it is in heaven. Cry out for wisdom on prophecy. Cry out for joy, peace and patience in the Holy Spirit. When I pray, he feels far away. But feelings are less important than reality. He has promised to never leave us, so he is here with us in the thick and thin. Come Lord Jesus!